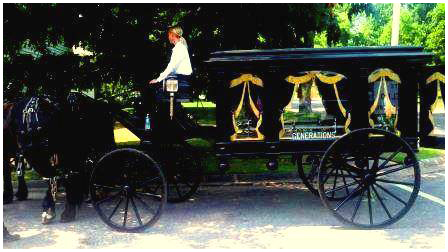 The first steps in the funeral profession taken by Kevin & Karri's family started back in 1900, when their great-grandfather, Emil O.Krueger, started working as an apprentice with the Henry Littlejohn Undertaking Service in Merrill, WI. In 1907 he became a licensed funeral director. 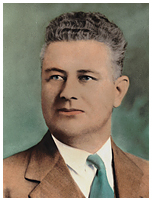 He first opened a funeral home in Merrill in 1914. 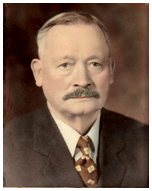 He was assisted by his brother, Anton J. Krueger, who was licensed as a funeral director in 1920. Later, the second generation of the family took over when Kevin & Karri's Grandfather, Emil H. Krueger became licensed in 1944. Emil H. worked with his brother Norbert in Merrill for some time. He later went to work for Nick and Sons Funeral Home in Tomahawk until 1970. He then opened Krueger & Son Funeral Home in Tomahawk. The third generation of family funeral service started in 1970 in Tomahawk, when Kevin & Karri's Father, Jim became a licensed funeral director. Jim retired in 2010 after serving the families of Tomahawk for over 40 years. The fourth generation of Krueger family service started over 25 years ago, back in 1992, in Tomahawk, when Kevin J. Krueger became a licensed funeral director. Kevin is married to Melinda (Nick) Krueger who's family history in funeral service in Tomahawk is listed below. Our family roots in the funeral profession serving Tomahawk date back over 125 years ago starting in 1890. Kevin's wife; Melinda Nick-Krueger, comes from a family of funeral professionals too. Her Great-Grandfather, Jacob Nick, Sr., opened the first funeral home in Tomahawk's history on Wisconsin Avenue in 1890. Eventually his sons, J.J., William, George and Ben followed him into the family business. Later grandsons, William "Billy Frank", Robert, John "Bud", Duane "Bus", Thomas, and Ted followed in Jacob Sr.'s legacy. Nick & Sons Funeral Home, Casket Factory, Furniture Store and the William Nick Funeral Home served Tomahawk for 80 years, and three generations.